“The Tempest is a play about a man producing a play – one that comes out of his own head…”; and ‘Hag-Seed’ is a novel about Felix Phillips, the former artistic director of the Makeshewig Theater Festival, who finally gets to mount a production ofThe Tempest, albeit with the Fletcher Correctional Players instead of a professional acting company. Felix is also using the play to enact his own real-life drama of revenge. Atwood constructs an interesting meta form: The novel is the re-telling of The Tempest; The director has the players re-write Shakespeare’s Comedy; and the director himself is living out an alternate version… Depending on how involved the reader is in the novel, it could be argued that Atwood has added another layer into the story by capturing the reader as the audience. Atwood uses this re-telling as exposition of her own understanding of the play; and cleverly up-cycles the Bard’s material both in structure and content. Felix becomes the avatar for Atwood’s research, teaching a class about the play to the would-be actors and the readers of the novel too. The FCP’s re-constructed Tempest raps out lines from the play and re-interprets the figures into modern understanding. The book itself is set up into five parts, mirroring the five acts of Shakespeare’s play. If there is to be any quibble, it is only this: There is no magic. The original play contains mostly unlikable characters. With the exception of Ariel and Gonzalo, they are best described as manipulative, incredibly naive, homicidal, rapacious, scheming, lying… The appeal of much of the play are the spells that Prospero casts, casting illusions on epic scale. With ‘Hag-Seed’, that magic is reduced to special effects, which shears off the glamour of the story. The novel is well executed and deserving of study alongside the Classic play, especially in discussions about modern or contemporary relevance and revisionist Shakespeare. OTHER: I received an Advanced Reader’s Edition of Hag-Seed (by Margaret Atwood) through the LibraryThing Early Reviewer program. I receive no monies, goods or services in exchange for reviewing the product and/or mentioning any of the persons or companies that are or may be implied in this post. I made a mistake. When I first received this book, I thought it was a Western based on the premise originally put forth by Elmore Leonard’s “3:10 to Yuma” – a peculiar, dynamic relationship between a prisoner and the deputy assigned to guard him. I gave myself four days to read, think about and review this book, not realizing that I had badly misjudged the book from the start. The 256 pages of the novel need to be savored carefully over time, and any inclination to project ideas of black- and white-hatted cowboys into the story needs to be put aside. The Ploughmen is a work of literary-fiction set in Montana that requires due diligence and undistracted contemplation. Yes, it does feature “a peculiar, dynamic relationship between a prisoner and the deputy assigned to guard him;” but the pages are filled with descriptive prose, a slow rhythmic pace punctuated infrequently by stark, brutal acts, and characters of concretized mindsets. Much of the book is devoted to portraying the landscape: clouds (cirrus clouds, cumulus clouds, gravid clouds, immane clouds…) and birds. The landscape in its graphic harshness wields its presence in the narrative like a weapon unto itself. The careful tempering of the story into measured passages forces the reader to slow down and take in the seemingly-portentous lines and their possible implications. It is against this landscape that the characters find themselves trapped as players upon a stage from which there is no exit. Val Millimaki is the deputy who cannot adapt to change. He holes himself up in his cabin with his memories as his wife escapes and his marriage crumbles. Gload, on the other hand, is the older “plough man” who realizes that nothing really changes once you have the perspective born of life experience. Both men steadfastly hold on to their respective core philosophies of idealism and nihilism at great personal cost, and by adhering to their personal convictions, ultimately both reap what they have sown. Some of the language is archaic which may speak of a certain intellectual pretentiousness on the part of the author; but the the overall sense of craftsmanship, of planing and shaping the story to reveal the grain and beauty of both the the land and the men, is undeniable. 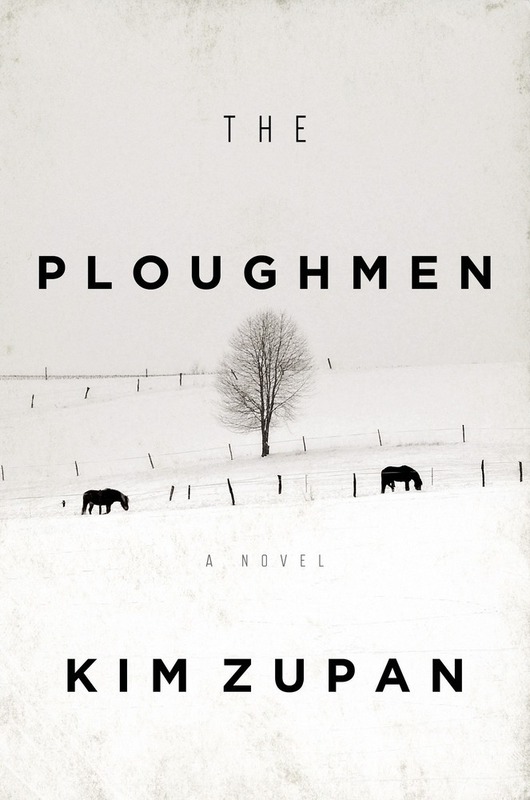 OTHER: I received an Advanced Reader’s Edition of The Ploughmen (by Kim Zupan) through the LibraryThing Early Reviewer program on September 7, 2014. I receive no monies, goods or services in exchange for reviewing the product and/or mentioning any of the persons or companies that are or may be implied in this post. Holly is a fifteen-year old girl, running away from home after a major, if classic throw-down with her mother (“Live under our roof, obey our rules…”) In the course of her self-imposed exodus from her small English village, Holly experiences strange, realistic “daymares” and suffers from memory blackouts as well. David Mitchell explores the implications of the psychic phenomenon that have been manifested in Holly’s worldview by implementing a sort of “relay form” of narrative: The reader bears witness to Holly’s life through the first person points of view of four other people of varying degrees of intimacy in relation to Holly, and over the course of nearly sixty years. The story as a whole is a somewhat inelegant mixture of popular drama (think Umberto Eco’s Foucault’s Pendulum, J.K. Rowling’s Harry Potter and the Goblet of Fire or even the original Indiana Jones movie), a bit of alternate cosmology (e.g. Neil Gaiman and/or Luc Besson’s movie, Lucy) and the descriptive stylings of each of the chapters. There are characters from Mitchell’s other novels who make appearances in The Bone Clocks, most notably Marinus from The Thousand Autumns of Jacob de Zoet, which makes for some meta interest in Mitchell’s “biblioverse.” However, if the reader is expecting the same nuanced evocations of a time and place, or the poignancy of “Thousand Autumns,” The Bone Clocks falls short. The fantastical elements are heavy and rather awkwardly incorporated into the story; Though each section’s time, place and attitudes are marked by distinctive and unique details in language and quotidian items appropriate to the respective settings, there is a superficial quality to the characters themselves; and while it is not absolutely necessary to read Mitchell’s other novels, doing so adds to the fun and interest of The Bone Clocks, while conversely not having read Mitchell’s other novels may leave the reader feeling they are missing something. 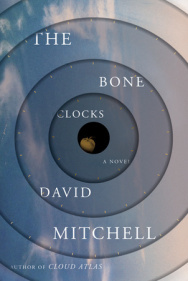 OTHER: I received an Advanced Reader’s Edition of The Bone Clocks (by David Mitchell) through the LibraryThing Early Reviewer program on August 7, 2014. I receive no monies, goods or services in exchange for reviewing the product and/or mentioning any of the persons or companies that are or may be implied in this post. Vienna Nocturne is a novel that traces the career and relationships of the 18th-century soprano Anna Storace as she moves from England to Naples, and then to Vienna. The primary focus of the story is Anna’s intimate relationship with Mozart, who would create the role of Susanna in his opera buffa, Le Nozze di Figaro for her to act & sing. Shotwell’s knowledge of opera, the basics of Anna’s life as well as the rumors that circulated the young star are not to be denied; but the lushness of the settings, the passions of Anna’s various love affairs, and the richness of the musical culture are all oddly muted by stilted writing and a naive approach to matters of the heart. • Passages are composed of short, simple sentences that offer nothing in the way of lyricism or poignancy. • There is a lack of transitional grace. At some points, years lapse between chapters, in others only days – which creates an arhythmic pace as well as a vacuum in which the texture of the story could have been enriched. • The application of artistic license (e.g. fudging the time lines) was used to advance the less credible aspects of Anna’s life, while the known facts of her life were left in the background. As extraordinary as Anna’s life was, and as rich fodder that could have been for Shotwell’s narrative, the author chose to feed into the rumors instead. • At the same time, there are many opportunities for the imagination to take flight, but such chances seem to be tethered by overly conscious nods to historicity via exposition. It was if the author was saying that we couldn’t take the fictional aspects too far as, after all, these were real people. • Finally, the novel lacks inherent tension: Villainy and adversity, as well Anna’s triumphs, run second to the melodrama each extreme creates, and as a result neither functions as the whetstone by which the other can be sharpened. At the most basic level, the story provides some interesting color for the era; but fails to elicit sympathy for any of the characters, or engage in the fulsomeness of either Vienna or Anna’s life. OTHER: I received a hardback edition (finished copy) of Vienna Nocturne (by Vivien Shotwell) through the LibraryThing Early Reviewer program on March 25, 2014. I receive no monies, goods or services in exchange for reviewing the product and/or mentioning any of the persons or companies that are or may be implied in this post. On July 2, 1835, Huckleberry Finn and the runaway slave, Jim set out on a raft down the Mississippi River. For the next 170+ years, as the raft moves through time and events unfold onshore, Huck and Jim remain un-aged, living in a state of temporal suspension until Hurricane Katrina terminates the raft’s journey in 2005. It is an intriguing premise for a novel; but the story quickly devolves into pointless and unsatisfying memoir of of Huck’s life after leaving Hannibal, Missouri. Norman Lock takes greats pains to divorce his Huck Finn from the character Mark Twain created by not adhering to the style, satire, language or personalities established in the American Classic; but offers the reader nothing in return. The opportunities for the characters to develop are squandered as the author keeps his Huck and Jim static and unresponsive to historic events or even to dramatic moments onshore. There is no sense that the Huckleberry Finn at the end of the novel is substantially different from the Huckleberry Finn at the beginning other than that his vocabulary has expanded. 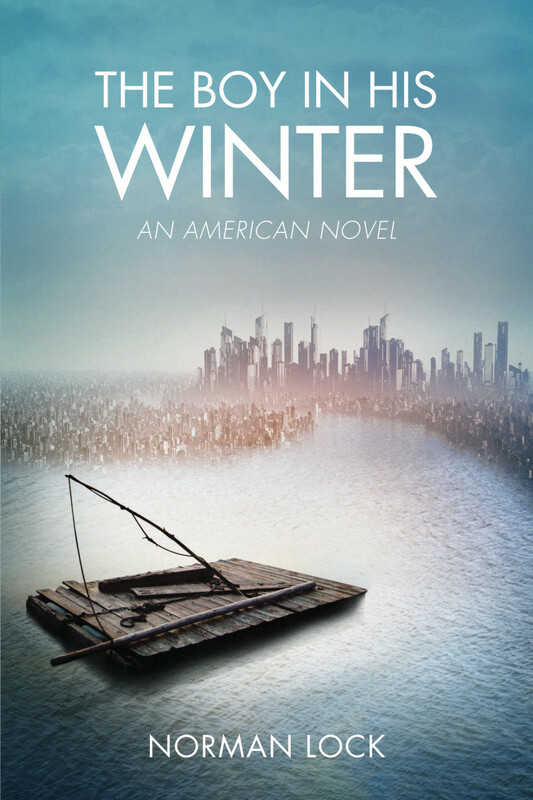 The journey on the river and post-Katrina plot line serve only to move characters to different settings; and the descriptive prose is limited, uninspiring and fails to deliver any sense of vitality. Onshore life is relegated to the periphery while the core of the story line is an ambiguous haze of memory, ultimately an empty exchange. Overall, this was a tediously boring and disappointing novel. OTHER: I received an advanced reading copy of The Boy in His Winter (by Norman Lock) through the LibraryThing Early Reviewer program. I receive no monies, goods or services in exchange for reviewing the product and/or mentioning any of the persons or companies that are or may be implied in this post. Eleven is a collection of eleven short stories, ostensibly shelved in the “Mystery and Suspense” genre, but really tends to be more in the vein of “Psychological Thriller” or even “Horror.” Mysteries generally develop along the lines of “whodunits”: plots with clues and denouement; whereas Highsmith’s shorts are studies into the dark taint of the human mind. Greed, vanity, paranoia and cynicism are treated in the stories with morbid fascination and leave the reader with a sense of unease and maybe even a shiver of recognition. The stories are disturbing for what they suggest: that each man, woman and even child lives with a fragile tension between their dark natures and societal constraints and; that it doesn’t take much for any individual to tip over and indulge their more horrific aspects. 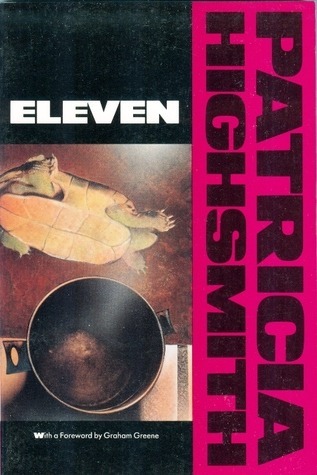 OTHER: A new retail paperback copy of Eleven (by Patricia Highsmith; Foreword by Graham Greene) was purchased and shelved in our home. Apologies as I do not recall the source/vendor. I receive no monies, goods or services in exchange for reviewing the product and/or mentioning any of the persons or companies that are or may be implied in this post.